This Belgian-style Dubbel is dark and dangerous with pockets full of stolen fruit, guilty as sin and yet more popular than Jesus among the people. Which one of them should go free? The people chose Barabbas, the scoundrel who seduced them with an enchanting aroma of bananas, plums and raisins. 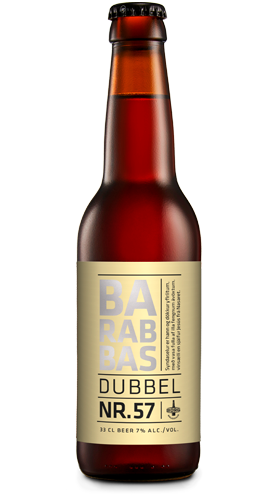 Dubbel beers are strong and dark, with roots in Belgian Trappist monasteries where they are still being brewed today. Ingredients: Water, malted barley, sugar, hops and yeast.